You are at:Home»Herbs»Cordia latifolia Roxb. Latin name : Cordia latifolia Roxb. 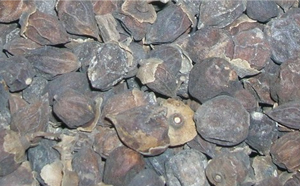 Description : The fruit is astringent, cooling, demulcent, diuretic, expectorant and pectoral. It is also highly mucilaginous and the mucilage is useful in diseases of the lungs. Also useful in the diseases of the spleen. Recommended Dosage : 5 to 7 g powder of fruits.